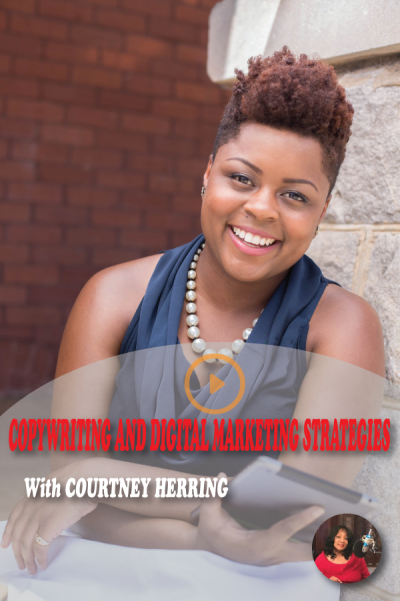 Mrs. Courtney Herring is the owner and CEO of “The Champ Media Agency” and a digital marketing strategist and certified copywriter based in metro Atlanta. She has spent the last several years serving purpose-driven business leaders, billion-dollar corporations, nonprofit organizations, socially conscious start-ups, and faith-based organizations. Her passion for writing strategic sales messaging makes her the perfect fit for those companies and organizations looking for effective digital marketing strategies to communicate clearly and attract more customers and clients authentically – without compromising their own voice or values. In addition to serving clients, Courtney enjoys facilitating workshops for entrepreneurs and aspiring entrepreneurs, helping them understand how to inject emotion and personality into their sales messages to bridge the gap between where they are and where they want to be in business. Courtney holds a Bachelor of Arts in Communication and English Literature from Denison university, as well as a Master of Arts in Media Studies from The Pennsylvania State University. USE THE COUPON CODE “WOHW” AND RECEIVE EVERYTHING IN THE STORE FOR 10% OFF!